The benefits of being Pokemon Go friends just increased somewhat – a new feature called Lucky Friends has arrived. 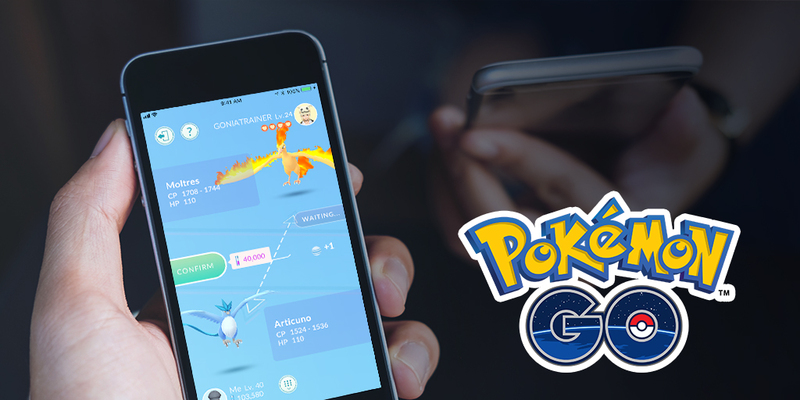 As ever with Pokemon Go, patches and changes to the game often sort of drop out of nowhere – and today a new update is being rolled out to Pokemon Go players – version 0.139.2 on Android and 1.107.2 on iOS. While the changes made in the patch aren’t updated in the game until developer Niantic chooses to push them to players, this time around the patch notes suggest an all-new feature is incoming: Lucky Friends. What is the new Pokemon Go Lucky Friends feature? The patch notes for this latest version of Pokemon Go read as follows: “Trainers who are Best Friends will have a chance of becoming Lucky Friends.” So – what does this mean? In Pokemon Go, friendship isn’t just a simple list of players you’ve added – it’s a changing, growing list, with different levels of friendship depending on how much time you’ve spent doing things with another player. By sending gifts, playing through Pokemon raid encounter battles and trading Pokemon, players can ‘level up’ their friendship, with the top tier being ‘Best Friends’. Lucky Friends are basically a temporary buff to your friendship status. Once you’re best friends with someone, you’ll have a chance to be temporarily made each other’s ‘special friend’ each time you perform a friendship-based act with them. That means each time you trade Pokemon, open gifts from each other, team up in raid battles or gym encounters, or even have a one-on-one trainer battle. Each time will give you a chance this will happen, and when it does Pokemon Go will make a big song and dance about it, notifying you that you’re now lucky friends. Once you are Lucky Friends, the buff is simple: the first trade you make with that player is guaranteed to create a Lucky Pokemon. Lucky Pokemon are buffed Pokemon that have cheaper stat upgrades and generally better performance across the board, so this is well worthwhile. Once a trade has taken place the lucky friend buff will wear off, but you’ll have a chance to become lucky friends again with friendship activities. Your limit on how often you can become lucky friends is thus tied to that – most friendship acts can only be performed once a day, or when you’re in close proximity to each other. If you’ve forgotten, Lucky Pokemon are randomly bestowed that ‘Lucky’ buff when traded with a friend, with Lucky Pokemon being more powerful, with strong behind-the-scenes stats and lower stardust power-up and candy requirements. In short, they’re really useful – but they’re very rare. As it stands right now, Lucky Pokemon happen at random, and the chance is about as low as getting your hands on a Shiny Pokemon – so pretty low indeed. The post Pokemon Go Lucky Friends: how to make lucky friends for Pokemon buffs appeared first on VG247.